How do you follow up an episode that marks a milestone for our series? Probably with a trio that released 8 albums during the 1980s and are still going strong. Possibly more popular today than ever before. 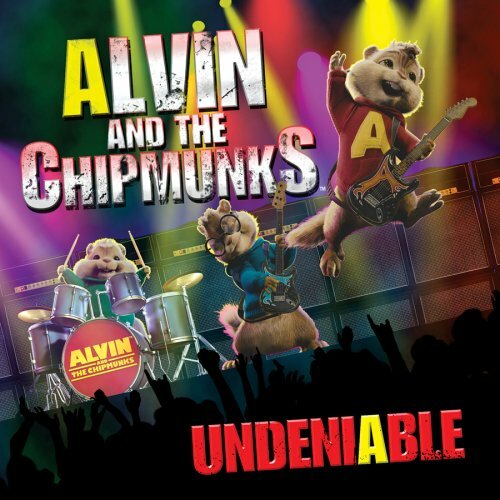 Feel the tension... wait for it... this week we talk to and feature music from Alvin And The Chipmunks who have released their new album, Undeniable. Had a great time with the interview and, in retrospect, maybe I shouldn't have asked about laser hair removal. We featured a few classic renditions of theirs ("Bette Davis Eyes," "Thank God I'm A Country Boy" and "Chariots Of Fire") as well as our retrospective mix. Had a lot of action in the chat room this week. As well a several shocked souls. We kept the featured artist secret for most of the week (except for a few that heard it mentioned toward the end of the last episode.) Interesting to note that the Chipmunks phenomenon never happened in the U.K. I personally believe that is why Crazy Frog is doing so well on the charts there. Maybe this will be the episode that fixes that... most likely not.